The state of advertising in the 1940s was similar. The all-powerful copywriter took what the clients wanted to say—usually simply the features of their product—and turned it into a headline and body copy. Then, they’d hand that copy to an account executive who would run it to another floor and literally slide that paper under a door to the art department to “visualize” the final ad. Artists simply followed the copywriter’s orders. It was very rare that the copywriter and the artist would actually know each other. 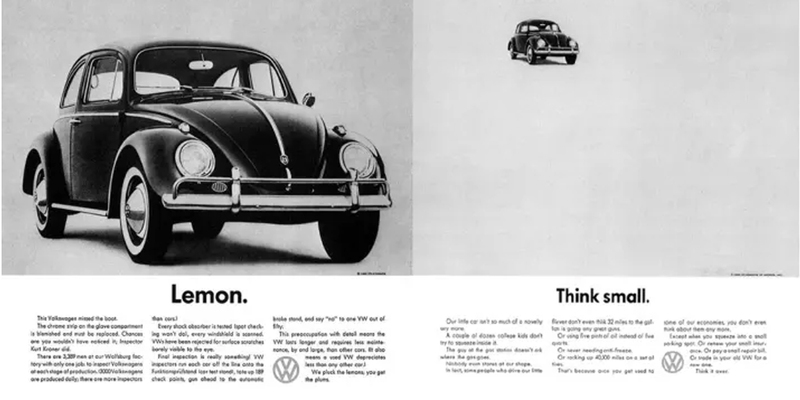 All of that changed when copywriter Bill Bernbach met art director Paul Rand. Rand once remarked about working with Bernbach, “This was my first encounter with a copywriter who understood visual ideas and who didn’t come in with a yellow copy pad and a preconceived notion of what the layout should look like.” Contrary to the siloed dynamic at the time, they’d take lunch breaks together to visit art museums and galleries; they became good friends. Isn’t that what we all strive for in our jobs True collaboration with equals and partners? Ideas that build off one another? Why does this seem so far away for some of us? I’m fortunate to work fairly often with my good friend Brad Frost, and one of the things I love most about working with him is that we both actively pursue that ping pong momentum within our collective work. Brad and I both do our fair share of workshops with designers and developers that would love to have a more collaborative dynamic with their co-workers. While they’re all typically on-board with the theory of collaborating more, they also seemed a bit stumped as to what that actually looks like from minute to minute. And lots more! In fact, we barely even finish the page we’re working on, mostly because we’re talking through what we’re doing rather than solely doing the work. If there’s enough interest, we may do a few more of these so you can see it all come to fruition. For more info, please check out Brad’s thoughts about all of this in his post, Designer + Developer Workflow. We’d love to hear any feedback you might have about all this. Is this a new kind of workflow for you? Is this how you’ve worked for years? Interested in working this way at your company but not sure where to start? Let us know what questions you have, and thanks for reading and watching!